First one (started yesterday!) is the Uncaged Challenge - for the month of October every day the participants need to put (at least) one item in their store. If you read the post from yesterday (you should and can right here - it has 2 giveaways!) you know that's exactly the type of challenge that moved me in the right direction with the blog a year ago. I hope it'll do the same for me this time, since the store is the one in most need of TLC! Join us - it should be fun. In a moment of 'oops' I recalled the Saturday after, on the 13th (yeah, really oops :)) I have entered yet another challenge: Leah's History Blog Hop. I'm in the Victorian style and I need to start working on it. Soon. I do have some ideas - and with moving the art studio up in the attic (more on this later this week) I can now finally see my materials and main ingredients (without having to get everything out in a chaotical chaos)... which means I will probably be better equipped to create something (or so I hope). You know about the Charm Swap (because you read all my posts, aren't you?!) - that reveal will be on the 27th of October (tentatively, if everyone can receive their charms by then). 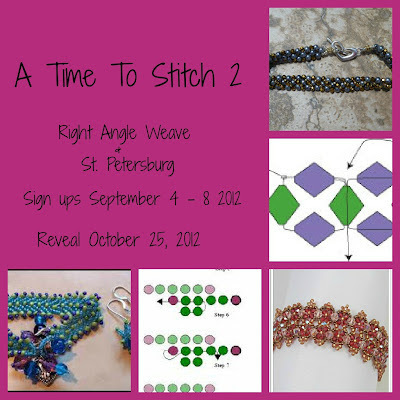 Also on the 27th there is the reveal and blog hop for Sharyl's Bead Packet Design. Then there is Sam's Solar Flare Blog Hop. He captured a gorgeous picture of a sunset and we are supposed to use it as an ispiration for one creation. Oh, the possibilities - look at those rich colours! I can almost see the piece - and I even have the materials I need! Knowing myself so well - I believe I will simply change my mind a thousand times before the reveal :) You'll have to come back towards the end of the month - October 28th it is the reveal. This makes for a crazy-busy month and a monster last weekend of October, with no less than 5 *five* challenges / blog hops / reveals... Wish me luck!